Keeping track of customer satisfaction and loyalty is vital for every business and, essentially that’s what the Net Promoter Score (NPS) does. It provides you with a single metric to show how well you’re doing. It simply measures the willingness of customers to recommend you to others, and is based on just one question, ‘How likely is it that you would recommend our company/product/service to your friends/colleagues?’. To calculate your Net Promoter Score, you need to take away the percentage of detractors (those giving you a score from 0 – 6) from the percentage of promoters (those giving you a score of 9 or 10). For instance, if 70% of respondents were promoters and 30% were detractors, your NPS score would be 40 (70%-30%=40). 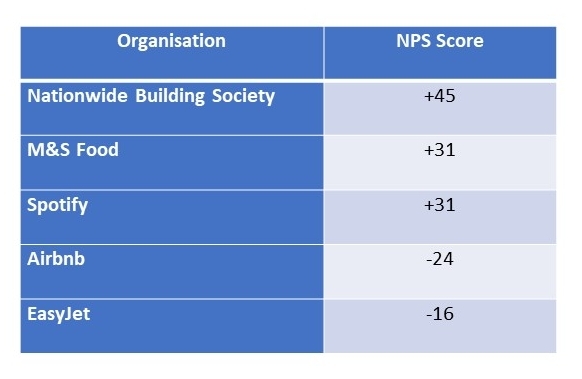 The NPS score ranges from -100 to +100, so a ‘good’ score needs to be above 0. An ‘excellent’ score would be above +50 and a company would be considered ‘world-class’ if it were to achieve a score of +70 or over. Using Net Promoter Scores as a measure of customer satisfaction is a great way of getting employees to focus on customers, and this in itself can have a direct impact on the success of your business. Ideally, however, Net Promoter Scores should be part of a broader strategy because, like anything, it has both strengths and weaknesses. If you’d like to chat about the way you collect NPS data or how you can add value to what you’re doing already please give us a call – customer service is something we’re extremely passionate about.